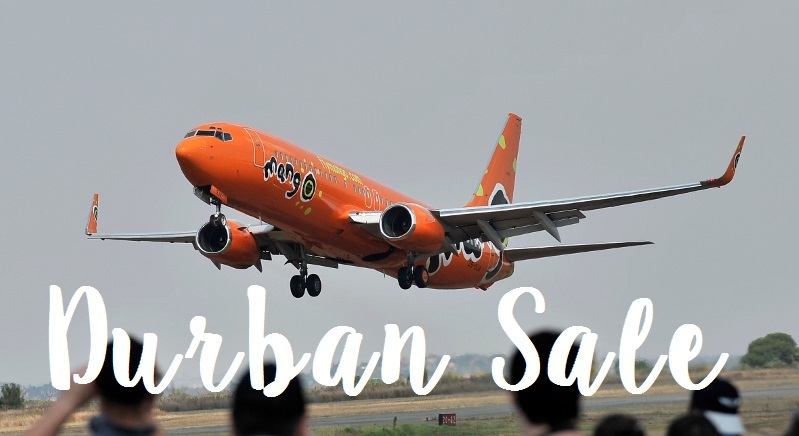 There is no Happy Day sale this week, but Mango Airlines are offering some amazing prices on Durban flights! The 48 hour sale ends at midnight tomorrow, the 6th of July 2016, and includes affordable flights until the end of August 2016. Flights start from R499* and are significantly cheaper than on the last Happy Day Sale. The sale prices are readily available throughout the month of August, but should be booked sooner rather than later to avoid disappointment. * Please remember that there is as always very limited availability for the flights listed below. Prices may also have changed even by the time you read this newsletter. For the most up to date availability please check the Mango website. Remember to add R99 per person per booking made, whether one way or return.